The magic of Winter is upon us, bringing with it chilly temperatures, perfect for having hot chocolate, or warming up by a fire after playing in the snow! 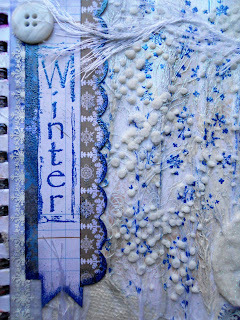 Drea here with the Design Team, and I made another page in my art journal capturing the season with some Mixed Media from FotoBella. com. 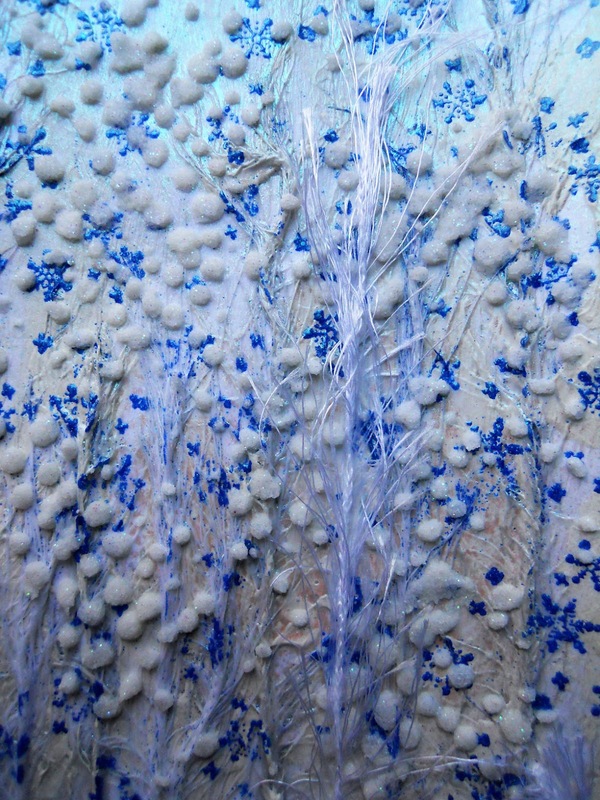 The background was created with white fibers, made to mimic trees, and a couple of pieces of lace to mimic hills, applied with Prima Marketing's Soft Matte Gel. Once dry, I applied a light coat of Prima Marketing's Heavy White Gesso. 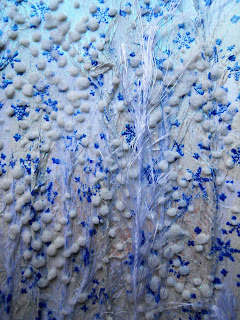 When that dried, I spritzed the sky with Vibrant Turquoise Dylusions Mica Spray and Brushed Pewter Distress Spray Stain. 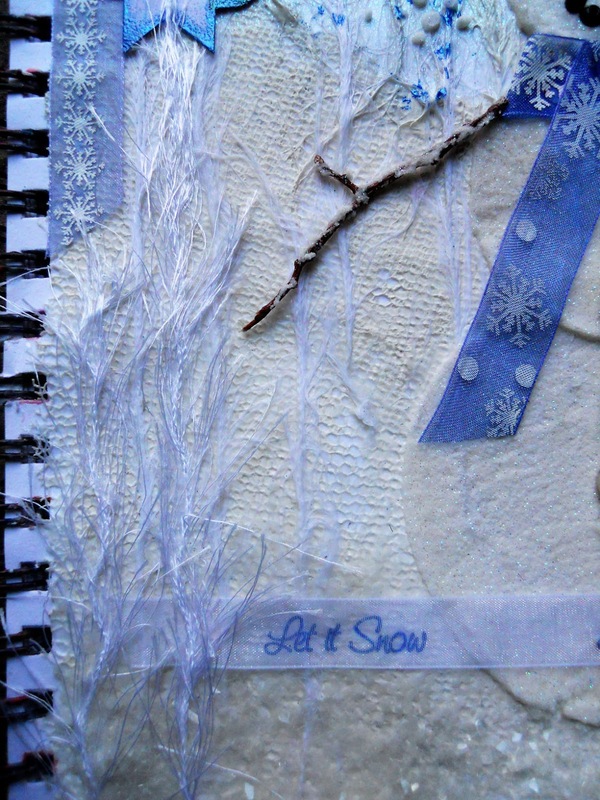 Next came some embossed snowflakes, and falling snow made with Prima Marketing's Salvage District Clocks Stencil and Snowflake Paste. 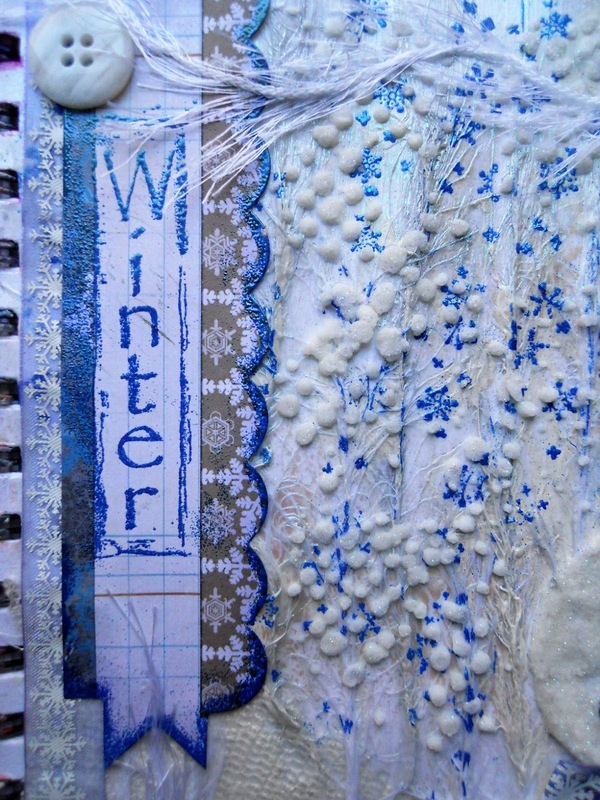 I dug through some of my older bundles to come up with the tag that I embossed "Winter" on, using Bo Bunny's Woodland Winter Collection. 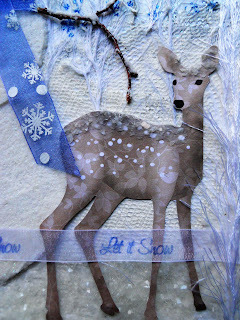 The deer was a great find, also from the same bundle, sprinkled with some snow using Prima Marketing's Glass Glitter Pearl Flakes, which I also added to the bottom of the page, adhered with Soft Matte Gel. I used the Snowflake Paste again to make the snowman with a circle stencil, and on the twigs that I grabbed right outside of my door, used for his arms. 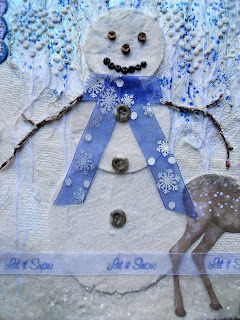 Then I added some beads, buttons, and ribbon made into his scarf. I love all of the texture and shimmer on here, using supplies from FotoBella.com!